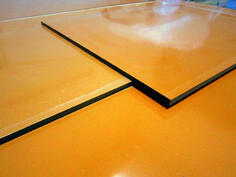 Vanderveer Industrial Plastics will occasionally refer to Paper Base as NEMA X or NEMA Grade X. Generally speaking, it is a phenolic paper material used largely for mechanical applications. Good tensile, flexural, and compressive strength are what you will find with this grade.